Ever wish you could instantly organize your jumbled canned foods and beverages? Well, now you can. 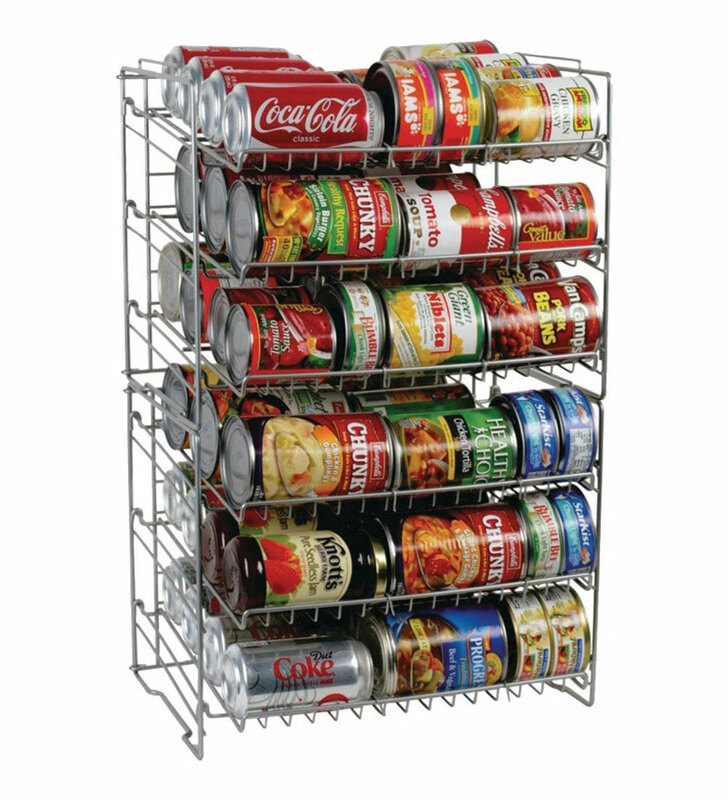 The Chrome Wire Can Storage Rack provides three spacious shelves (18 inches wide by 16 inches deep) of storage space for canned goods, designed to accommodate a total of up to 45 cans of varying sizes. 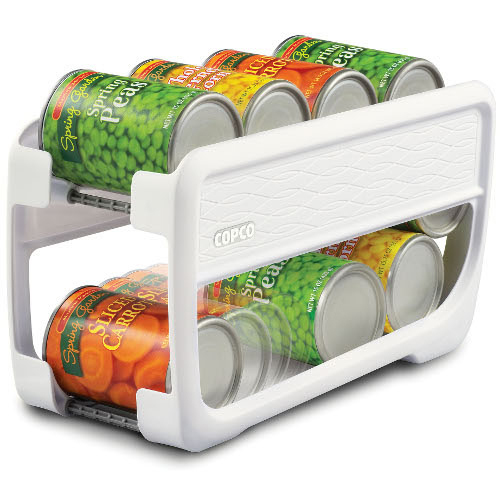 The shelves are slanted to allow the next can in line to roll to the front (a rim keeps cans from rolling off the shelf), and the base has rubber feet to keep the unit firmly in place. If you need even more storage for beverage cans in your fridge, the White Wire 24-Can Beverage Dispenser holds up to 24 standard soda cans, keeps the next can at your fingertips and even has a top storage shelf for holding additional beverages or food containers. Despite the name, this canned beverage dispenser will also hold canned foods and may be used on pantry shelves or inside cabinets.